Where is Bob? 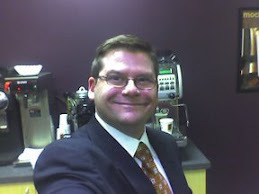 : This Just In...another story about the BIGGBY WAY thanks for sharing Elan! 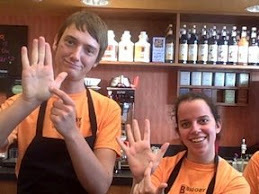 This Just In...another story about the BIGGBY WAY thanks for sharing Elan! I just wanna let y'all know, the other day I was absolutely miserable. Nothing was going right, and all I wanted was a bloody cup of strong coffee to help get me through the rest of a dreary day. Anyway, one of the baristas, went out of her way to chat with me, joke around, and talk to me about the rain cloud hanging over my head. I just wanted to let y'all know, I truly appreciated the fact that she spoke to me like I am a real individual, and not just another customer, and she went out of her way to try to make me laugh. And I have to say, that made all of the difference in the world. It was good to have the caffeine, but Hannah really made me feel better. I am just hoping there is some way to let her know that I truly appreciate the energy she puts out. Great to hear comments like those, and I'm so glad you shared them. Kudos to Hannah at the WMU store, too, for making it all happen for Elan. Cheers! What a great story! It is about being treated in a way that makes you feel special! GREAT story - thank you for sharing. How cool. Sounds like fun, but of course, BIGGBY always as BIG fun. B Happy and thanks for sharing.